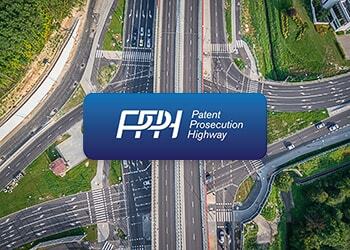 The Patent Prosecution Highway Pilot Program (PPH) between the national and regional patent offices is becoming more widespread. Recently, two new bilateral PPH programs have been launched. One between the Japan Patent Office (JPO) and the Turkish Patent and Trademark Office (TURKPATENT), the other between the Eurasian Patent Office (EAPO) and the State Intellectual Property Office of China (SIPO). Both programs commenced on April 1, 2018. The JPO-TURKPATENT agreement has been concluded for an indefinite period with a possibility of termination at any time, while the EAPO-SIPO program will be valid for three years and may be prolonged further. In the meantime, the duration period for other PPH programs between certain offices has recently been extended. The JPO, for example, has prolonged the pilot programs with the EAPO and with the Intellectual Property Office of the Philippines (IPOPHL) for another three years, i.e. until February 14, 2021, and March 12, 2021, respectively. Besides, commencing from April 1, 2018, the JPO has also extended the PPH agreement with the Industrial Property Office of the Czech Republic (IPO CZ) for an indefinite period. Furthermore, two more PPH pilot programs are expected to be launched this year. The Korean Intellectual Property Office (KIPO) and the National Office of Intellectual Property of Vietnam (NOIP) agreed to expand their cooperation in the IP field and to implement expedited exam procedures under PPH in 2018. Also, on March 28, 2018, the UK Intellectual Property Office (UKIPO) and the Brazilian Intellectual Property Office (INPI) signed a PPH agreement, which is expected to become effective in the third quarter of 2018. IP offices are constantly broadening their cooperation with regards to the accelerated examination. This is evidence that the pilot programs are in demand among applicants, helping not only to reduce the expenses connected with the patent registration but also to obtain the patents faster and more efficiently.